Planning is the key to success. No company has every succeeded without planning. Important project crucial for the success of a company can also be the biggest reason for the downfall of the company in case it fails to get implemented in the right manner. Hence the first thing that is required after attaining a big project is to sit and make a project implementation plan. The project implementation plan templates can be very handy at this juncture. 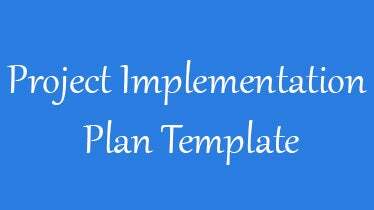 These are some useful templates and formats for making a proper project implementation plan. The format of these templates can be used by any company to create one of the most effective payroll project implementation plans. The design has been made in the form of a grid or in the form of a table. The design is more or less for an estimated period let us say for a month. The resolution range of the templates is great which provides brilliant printouts. The templates have 100% responsive features that allow a very easy navigation across the templates. 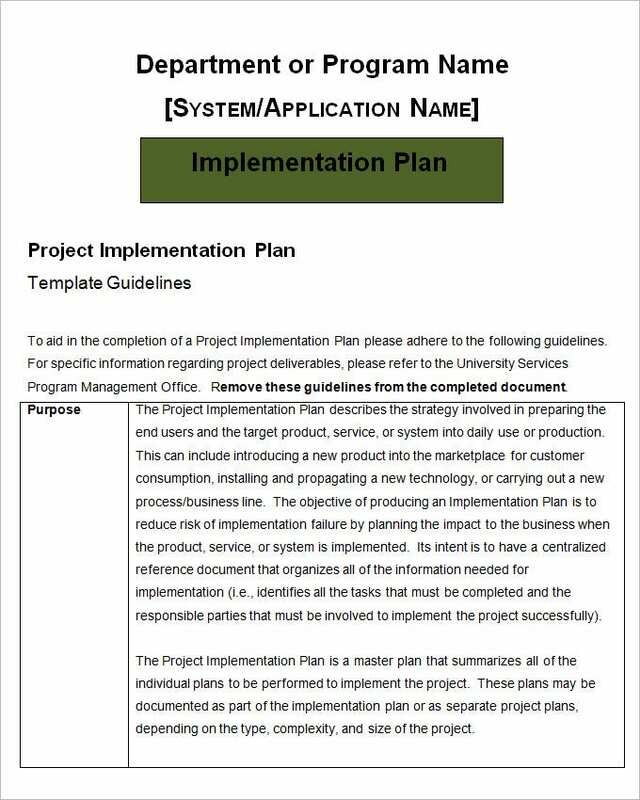 These project implementation plan templates can be downloaded by anybody with a lot of ease. These templates are available in the forms of word doc and also PDF. These types of templates have a very neat and formal look. Although the theme is simplistic it can be used to support a very well researched plan structure. Provided with super responsive features and also a very formal and simple theme or background these templates can be used for the purpose of making some of the most effective project implementation plans. 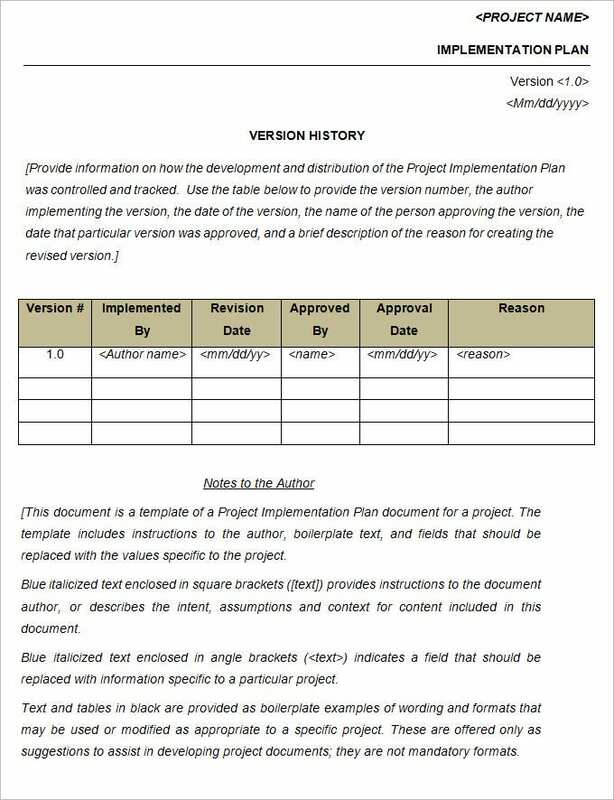 These project implementation plan templates are very easily downloadable and can be attained in the forms of word doc and also PDF. What does a Project Implementation Plan usually consist of? A project implementation plan is designed based on the company and the project’s necessity. 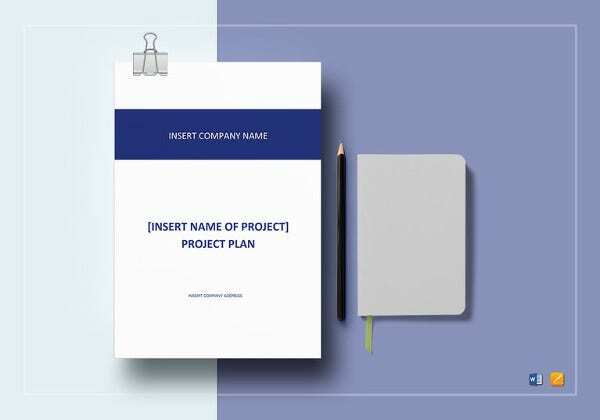 Before you download one of the sample project implementation plan templates that we have got for free, you should know what a plan such as that is usually made up of. Here are all the components of a project implementation plan listed out. The project in question and details about it are mentioned. The goals that are to be achieved with respect to the project are listed out. A plan that is to be implemented is then made for the goals and worked upon. The templates are fully editable hence the user can make changes as per requirement. The format design supports literary style paragraph writing. Thee templates can be used for the purpose of professional presentation and also for the purpose of instructing the students of IT. 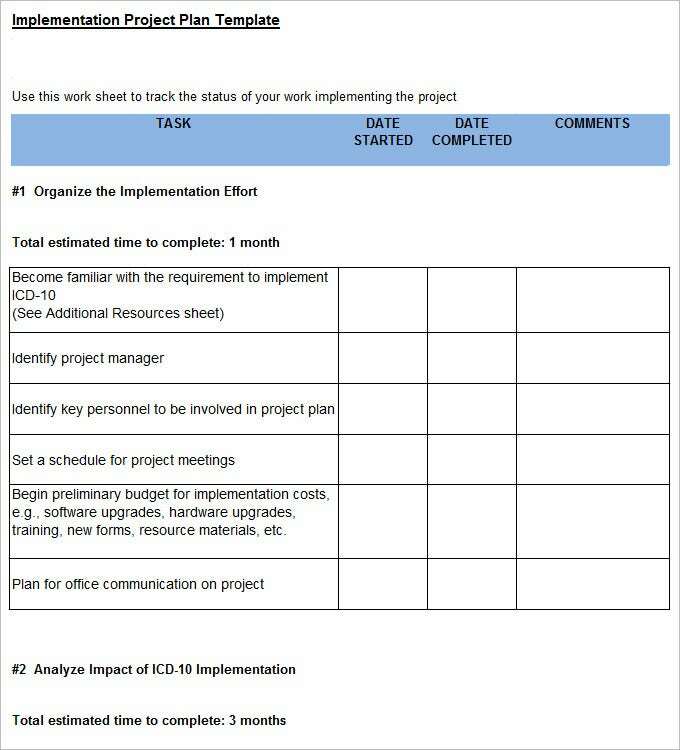 How to Create a Project Implementation Plan Template? 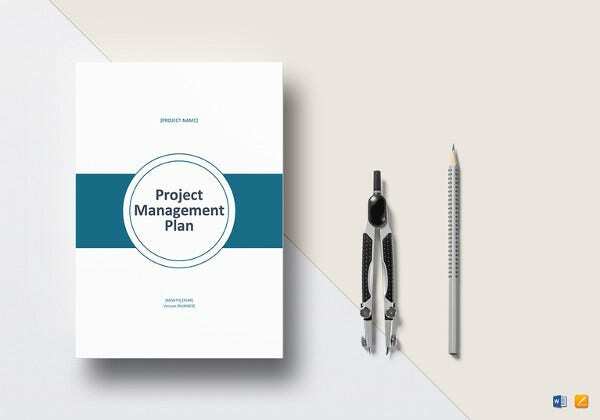 One of the basic things that are to be kept in mind at the time of making a project implementation plan template is that you need to be very clear on the exact type of format that you will be looking for. Although it has to be adequate yet at the same point of time it cannot be too flashy. Such templates are to ensure that the whole project and its implementation gets simplified and systematized so it has to be simple systematized it. Please do away with all the extra frills and be sure to provide a format that is required and will speed up the process. The biggest benefit of such templates is that it simplifies and organizes the whole affair. This helps to save time and money as well. 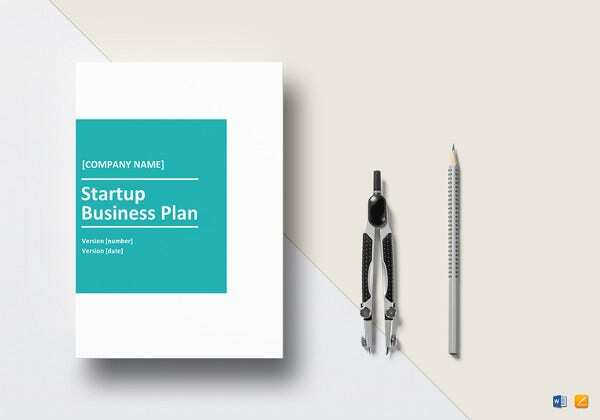 These templates offer ready to use formats that can be used to make good and effective plans for the company. Projects can be pretty messy and complicated affairs. Too many aspects can often confuse people. The task of project implementation is no easy job. Hence a plan is required. During planning, the project implementation plan templates can be a crucial support. If you have any DMCA issues on this post, please contact us!